The variety of doors in Whitechapel and their wide time span first became evident to me while perusing the 25,000+ photographs I had taken in the area since 2004. Subconsciously I had been drawn to taking portraits of the door on the buildings I encountered. An idea formed in my mind to use these doors as a means of relating the history of the area. Read on to find out more about what inspired me to create this new book. As I entered the new Pancras Square built on the site of the once teeming freight hub of Kings Cross/St Pancras the light channelled into the view had a dense and highlighted quality which would have been normal in this area 50 years ago. In early August I spent several days in Haworth, home of the Bronté family and located close to the beautiful West Yorshire moors. I've now created a gallery of the photographs I took on this trip which can be viewed here. Taxi Kite: "You looking at me?" Even though the LCD screens on the back of digital cameras have improved enormously, it is not always apparent what you have captured until you get a chance to process your photos and view them on a computer display. 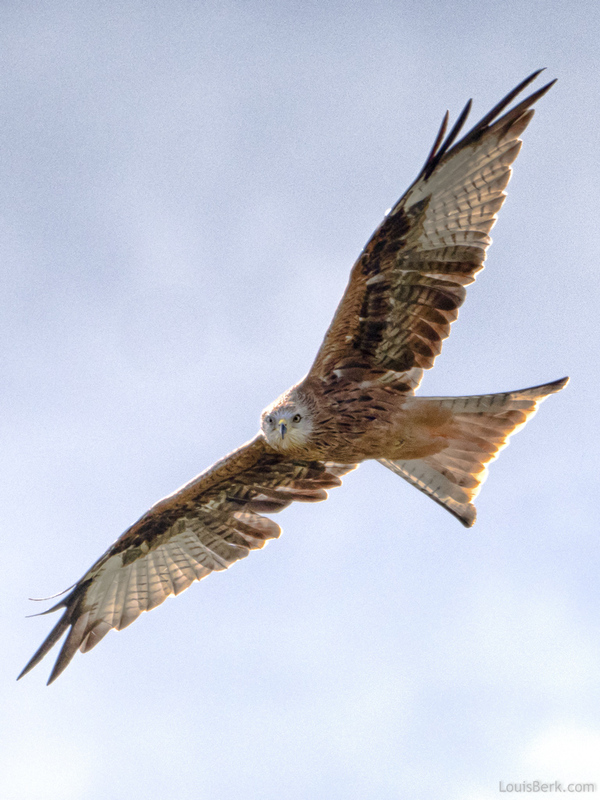 In this case I discovered that this Red Kite was checking me out as it spiralled lazily on the thermals above my head, taken in the beautiful Buckinghamshire countryside. You can click on the photo to see it larger. Read more about Taxi Kite: "You looking at me?" In recent years I've started to take bird photography a lot more seriously and in mid-June I upgrade my Panasonic m43rds system by acquiring the GH5. Panasonic make a deservedly big noise about the video capabilities of the camera but I purchased it purely for stills and wildlife. In July I put it to the test during a break on the south coast of England photographing swallows. Londonist has put up an article reviewing my latest book at their website and included some of my favourite photographs. Read more about "We are but shadows"